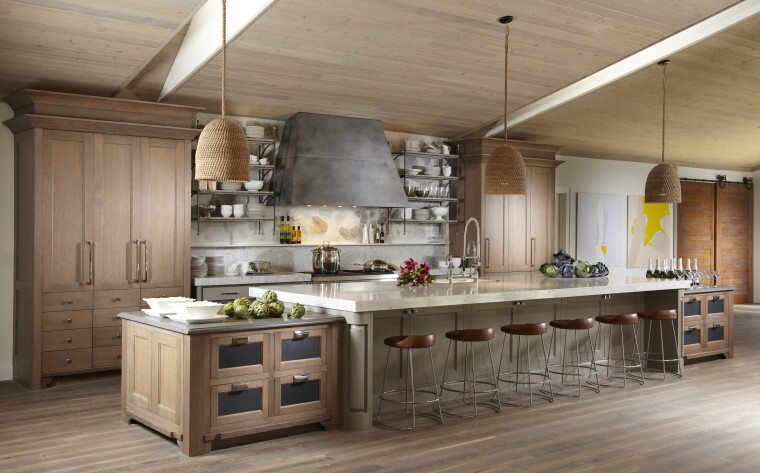 Cabinetry continues this renovated kitchen's use of natural materials to evoke the connection to the nearby beach. The new kitchen in this family holiday home features natural, raw materials that provides a connection to the beach, one block from the house. Steel shelving units with driftwood-coloured wood slats create a decorative display above the rear cabinets. These cabinets are a similar colour, and feature stainless steel strapping around the drawer edges. The cabinetry is also defined by a strong sense of symmetry, but that is where the formality ends. 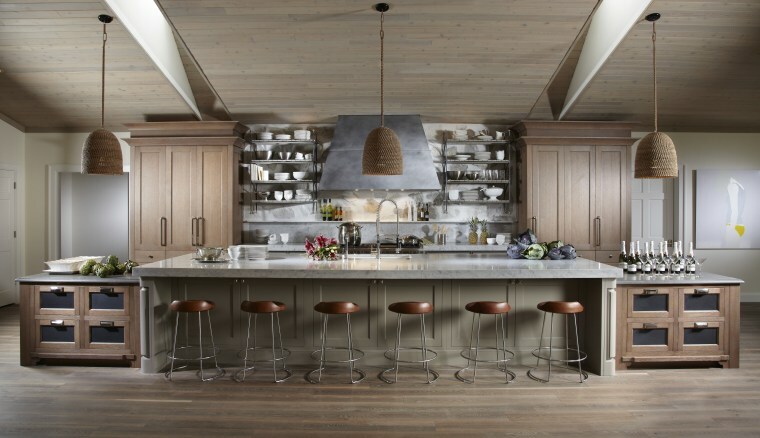 Furniture-style cabinets at either end of the island, and two large armoire cabinets feature textural wire-brushed oak that evokes a windswept beach.